VERSATILE COMPATIBILITY: Compatible with Mac, Windows XP, Vista, 7, 8, and 8.1,10. The headphone is NOT compatible with Xbox and PlayStation(Console). 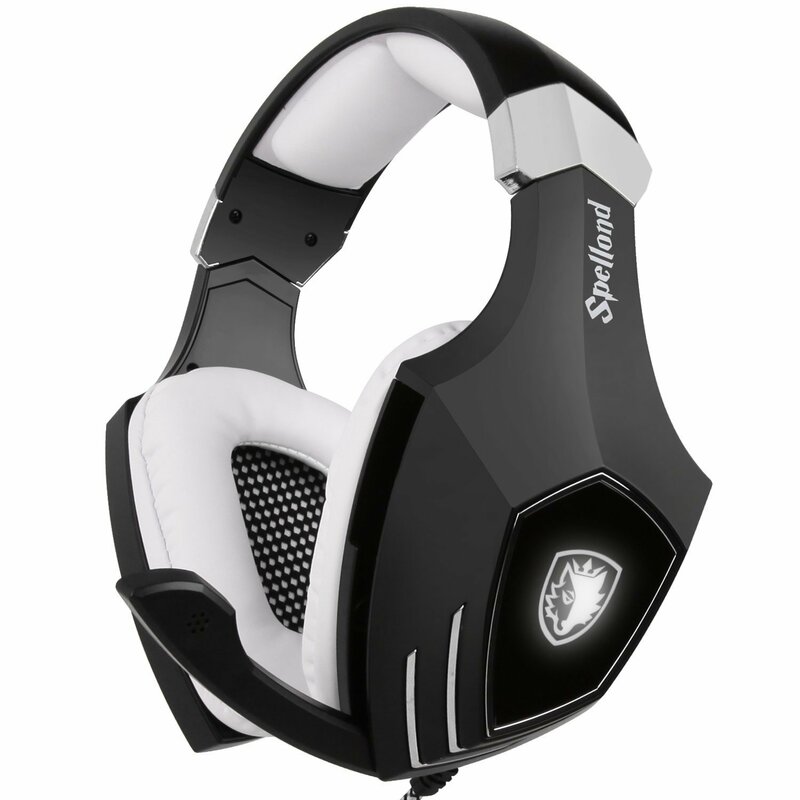 The headset has high sensitive Microphone and driver-free suitable for all audio devices with USB port. EXTERNAL AUDIO CONTROL: Includes an external audio volume control for quick and convenient adjustment. 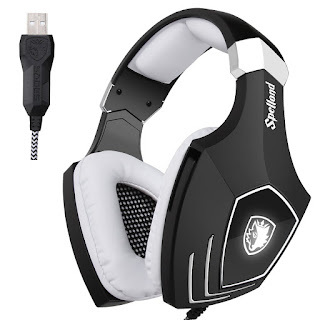 COMFORTABLE FIT: In this gaming headphone all contact points are finished in soft but durable materials, and the memory foam around each earcup keeps you comfortable for long periods. 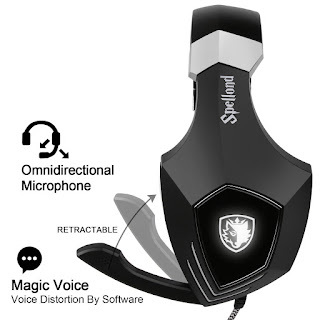 HIGH MAGNETIC NDFEB DRIVER UNITS: Clear sound gaming headset, operating strong brass,acoustic positioning precision, you can feel the full force of an explosion, a grenade blast, or a brostep drop. PLUG & PLAY: No setup or installation necessary. The headphone is packaged ready for instant use and enjoyment. 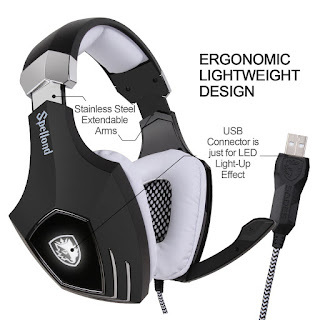 2016 updated enhanced speakers:The Specially design on the ear cups is very cool and very comfortable, unique virtual speaker technology realize sound reverberation, build great sound effect, experience real game. The materials of Earcups and headband pad are used with new generation PU leather, more skin-intimacy,reduce sweat and heat, more suitable for long time wearing. It can avoid the sweat and hot phenomenon which caused by long-time wearing or wearing this product in the high temperature condition. USB-PLUG & PLAY: No setup or installation necessary. The headphone is packaged ready for instant use and enjoyment. You could enjoy it with your PC or IOS at any time with removing the trouble to install the driver.Suitable for different ages people. Stainless Steel Extendable arms of the headset strengthen the quality and more cool. White & black color durable braided cable with long lengh 2.2 meters. 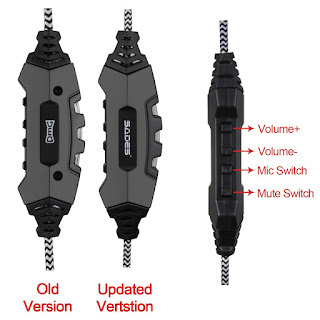 SADES model A60/OMG headset has hidden microphone design, 360 admission source, Hard-edged . SADES classic Wolf Head shape LED light with white color. Multi-functional Line-Controller with LED light:Updated Version SADES A60/OMG has SADES logo on controller with functions Volume + , Volume -, Mic switch and Mute Switch. White moon effect LED light, Moonlight over God . Use Sades A60S usb gaming headset with your PC computer or MAC for mic and audio. 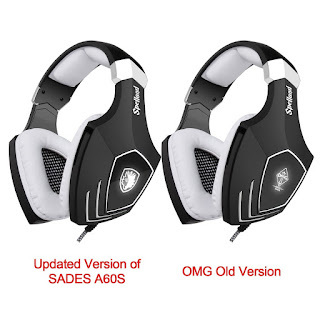 SADES model A60/OMG Spellond gaming headphone/headset with Black and White colour is the specially customized model for OMG clane in 2013. No driver included, very convenient to use it, just plugging into your computer USB port. It can work for IOS and Windows systems computers. 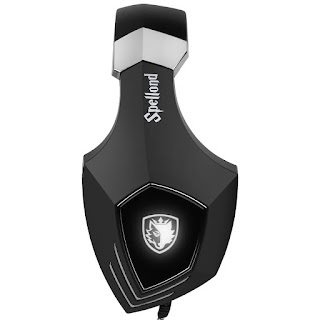 If you want a gaming headset with 7.1 sound effect and need the driver , please choose A60 Spellond another colours one such as black blue ,pink or white colour one. Thank you! Currently SADES drivers only for 7.1 sound channels headsets to install. Most persons and businesses have computers and to some degree bobafettusb key will have the need to storage small amounts of information electronically. I really enjoy simply reading all of your weblogs. Simply wanted to inform you that you have people like me who appreciate your work. Definitely a great post. Hats off to you! The information that you have provided is very helpful. browse this site. A Nintendo Wii is helpful if you're into getting into top shape. There are many physical fitness games available for the Wii system. Another vital factor is the way an amusement looks and sounds.look at here Search for a PC that has an incredible designs card like the ATI Radeon HD 4870 X2 illustrations board. 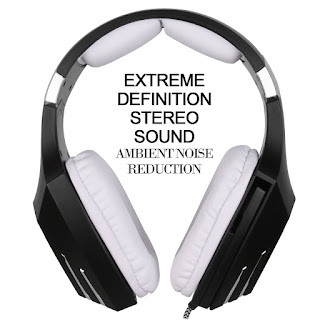 Likewise search for a sound card that imitates the full range of sounds that the diversion has. unblocked games enables the gaming fans to appreciate games of all kinds, for example, activity, arcade, kids diversion, astound, hustling, sports and word. The company sponsoring them would literally pay for any costs that bloxorz these pro gamers incur from paying for their travel and duration of the stay at these tournaments to actual practice sessions.